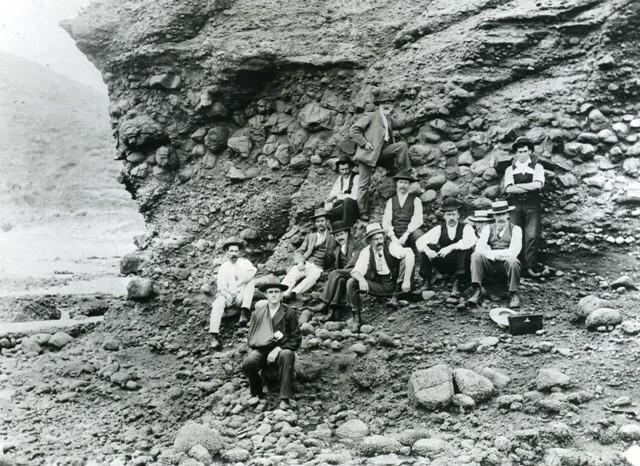 The West CoastÂ was popular with tourists and visitorsÂ from the late 19th and early 20th century, but they tended to visit Karekare and The Gap rather than Piha beach itself. The problem was that there was no adequate road down the Piha Hill and the steepness and large rocky outcrops deterredÂ all but the fittest walkers and horse riders. From around the turn of the century there was a guesthouse – Winchelsea House – at Karekare, and Ocean View House run by the UsshersÂ was at the top of Piha Hill (near the corner of today’s Te Ahuahu Road). From there it was possible to go down the hill to The Gap, then called Blowhole Bay. The Usshers also kept a few small huts at Blowhole Bay which they rented out. It was possible to walk around the rocks to Piha and some did. 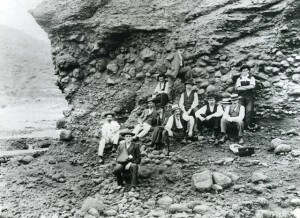 The earliest visitors to Piha were groups of young men or mixed parties who set up camp and cooked their meals over camp fires. The young men often lived off the land, eating fish, mussels, and baking damper over the fire. In about 1922, Ted Le Grice established the Piha Boarding House or Hotel. The Piha Mill closed in 1921 and Le Grice used the large timbers from the mill building in the construction of his establishment. Like Winchelsea House, it was quite a salubrious place, with white table cloths and service at the tables. There was a central dining and loungeÂ block, and blocks ofÂ cabins with names like Roxy, Regent and so on. The boarding house grew a lot of its own food andÂ had a milking shed to feed the guests. Le Grice was one of the earliest car owners to get his car up the hill, though it was often backwards. 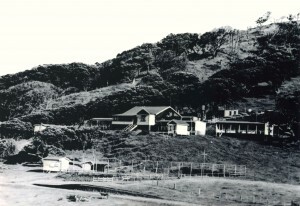 The building of the Piha Road was achieved during the Depression of the 1930s, using Relief workers who lived at Piha.